Discussion in 'General Discussions and Lounge' started by AF-Roger, Nov 10, 2015. 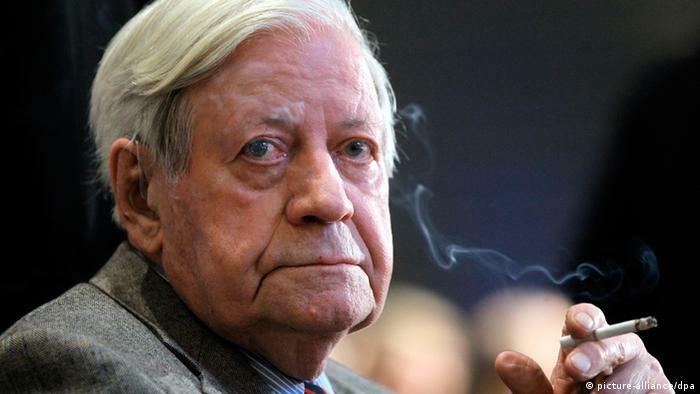 Helmut Schmidt, the chancellor who guided West Germany through economic turbulence and Cold War tensions, stood firm against a wave of homegrown terrorism and became a respected elder statesman, died Tuesday. He was 96. Schmidt died at his house in Hamburg, according to German weekly Die Zeit, of which Schmidt was a co-publisher. "We have lost a sharp-witted adviser, a trusted companion and a good friend," Die Zeit said in a statement. "Until recently he contributed to the editorial team with his analyses, his commentaries and his interviews about current affairs."